Make a Delicious Dinner In No Time! We want to remind you that you can make fabulous dinners in under half and hour. 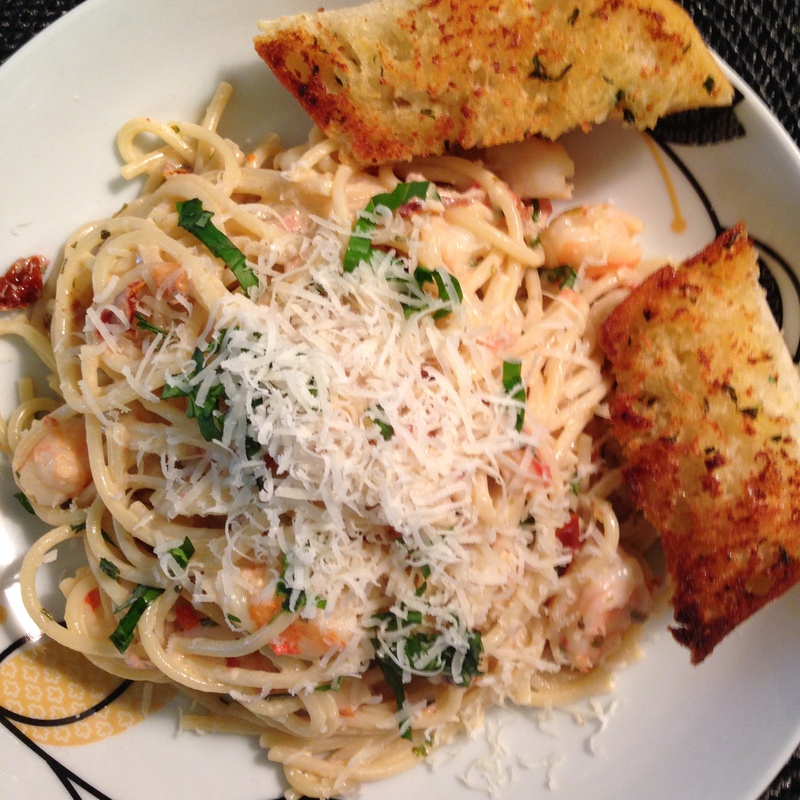 So this weekend, pick a pasta and whip up a garlic bread side dish for your hungry family. One pasts is seafood, and two are vegetarian. None will break the bank but all will reward the crowd. Your third choice can be made with jarred Pesto and frozen peas. Give it a go! 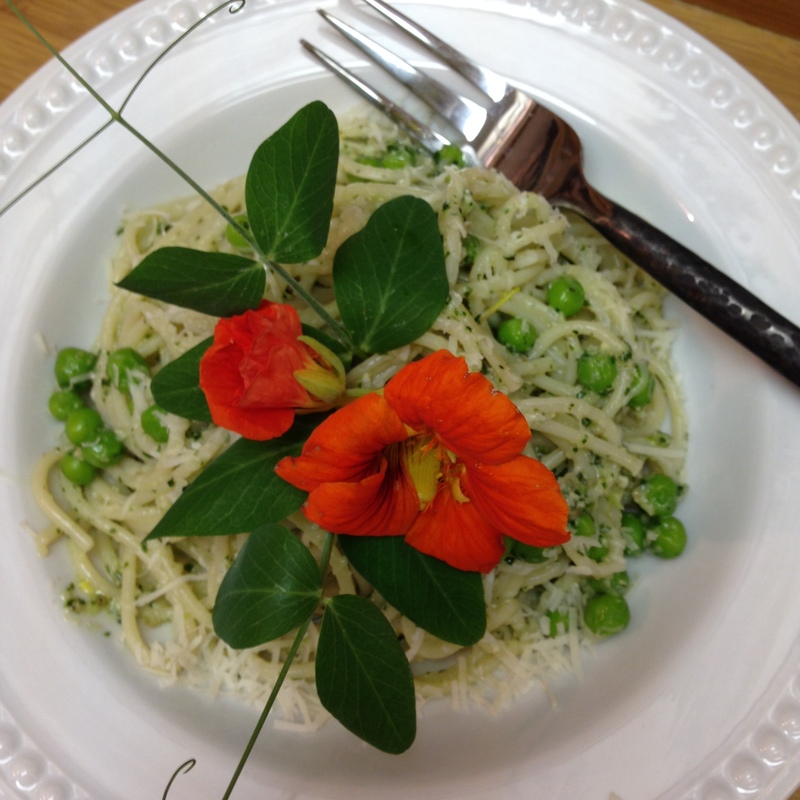 Pasta, Pesto and Peas! 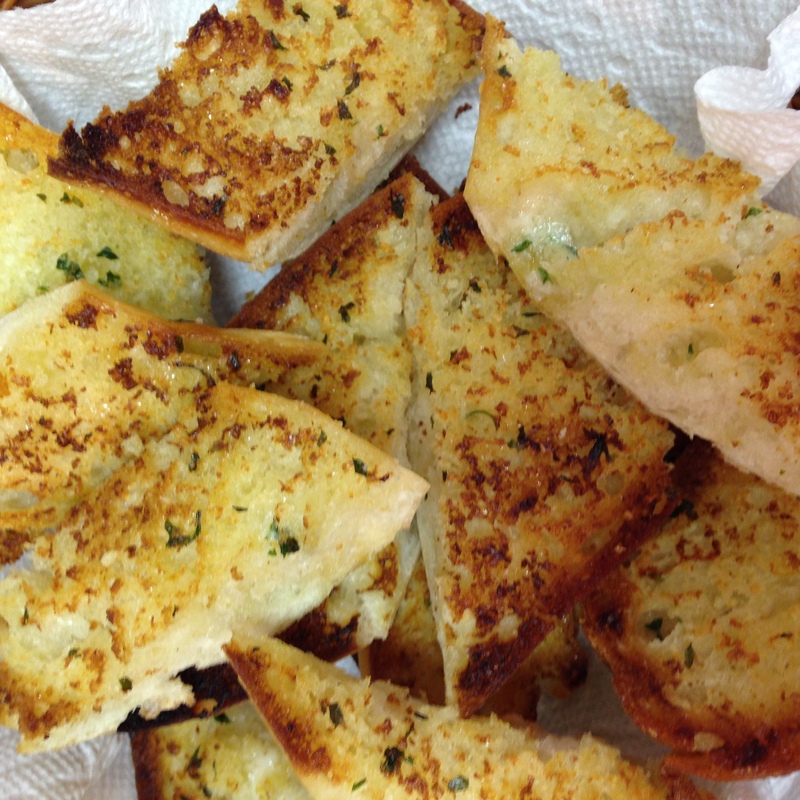 Add a side of our fabulous Garlic Bread! It’s a great way to start the weekend! Garlic bread is a wonderful accompaniment to Italian foods, but we like to think it goes with just about everything that comes from the BBQ too! What is it about the crispy, buttery garlic flavor that just makes your mouth water? Perhaps when it comes right down to it we all have a bit of Italian in our heritage, and if not, we probably wish we did. There is something special about a few simple ingredients put together in just the right way that makes us happy at the table. The quality of the garlic bread is directly related to the type of bread that is used and whether or not you use fresh garlic or the dried stuff. As a reader of this blog, you should be getting the idea that fresh is better and quality ingredients create a qualify end result. We opt for fresh garlic in everything we cook with the exception of home made croutons and dry rubs for meats. We like two breads in particular for our garlic bread. The first are the ultra-light Portuguese buns pictured above. The second is an outstanding Baguette such as Ace Bakery (available at all Loblaws Super Stores in Canada). The Portuguese Buns give a very light texture to the garlic bread, Airy in a word. The Baguette, is slightly denser, so it results in a chewy end result. We love both. You can also try a whole grain version, although we are purists and prefer a white bread option. Combine in a small mixing bowl until all ingredients for a smooth paste. Spread generously on the cut sides of the bread and place under the broiler on the center rack of the oven. Placing it too high in the oven makes it burn before it toasts. 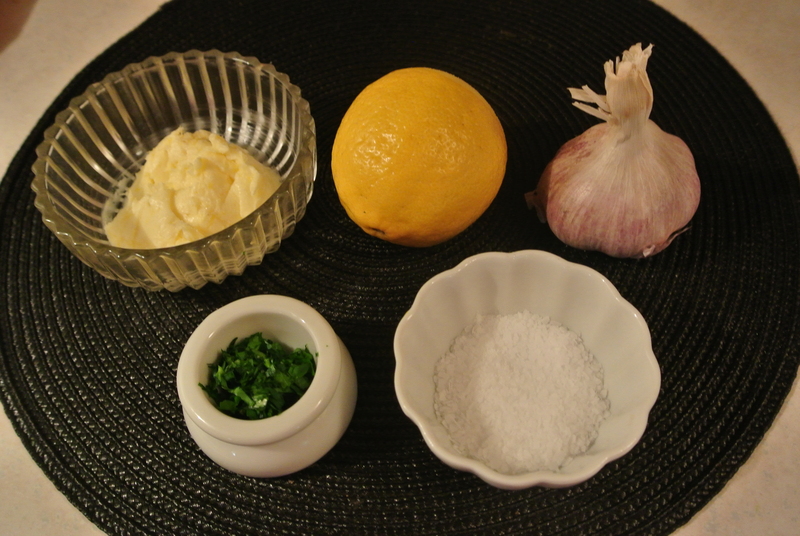 Using a Microplane to grate the lemon and the garlic gives the best result. A good quality Microplane is an essential kitchen tool. We do not consider it a gadget! Its essential! Amazon has them for under $10 at the time of writing of this blog. 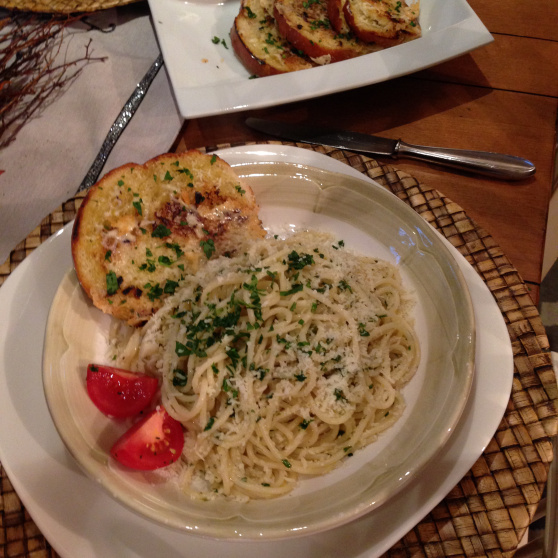 Enjoy the taste of our “No So Secret Garlic Bread” with your next meal!